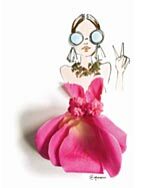 Santa Barbara Design Studio is all about imagination and design, working with artists in an effort to be fun, fab, and unique. Our California roots leads us toward casual and hip, but we're not confined to anything...we'll throw in some home décor, accessories and totes. You'll also find mugs and key chains with a blend of drinkware and kitchen accessories. We don't want to be labeled, we want to have fun. Our eclectic collections encourage personal style with pops of color and art. Our creative team works and plays from California, Arizona, Tennessee and Florida. Our buyers span the globe to find colors, textures and materials that will excite the spirit. We shop the world to introduce products that speak to everyone's personal and eclectic style. Since 1976, SBDS has encouraged our customers to take a chance and experience something new and different. 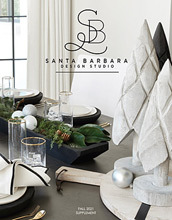 Experience the Santa Barbara Design Studio vibe.